The Shitbox Rally challenges 250 teams to drive cars worth less than $1000 across some of Australia's most formidable roads, all in the name of charity. James Freeman founded Box Rallies after losing both of his parents to cancer within 12 months. Since its inception, Box Rallies have raised over $16 million for cancer research with the 2019 goal to reach $20 million. 2019 marks the tenth year of Shitbox Rally and will be celebrated with a first-ever ten day rally (from Perth to Sydney via Uluru) in May as well as an additional Shitbox Rally event in October (from Melbourne to Townsville via Birdsville). Box Rallies is the Cancer Council's biggest national fundraiser. After three years on the Shitbox Rally entry waiting list, the 4Jeff team (Di and Tracey from Perth) will leave Melbourne in October 2019 with 250 other Shitbox Rally teams and drive to Townsville via Birdsville. That's a staggering 3,614 km over 7 days across the outback – in a shitbox! To help 4Jeff raise funds, local comedy trio the Ballpoint Penguins will perform during a 'fun-raising' evening in Fremantle on Friday 17 May 2019. 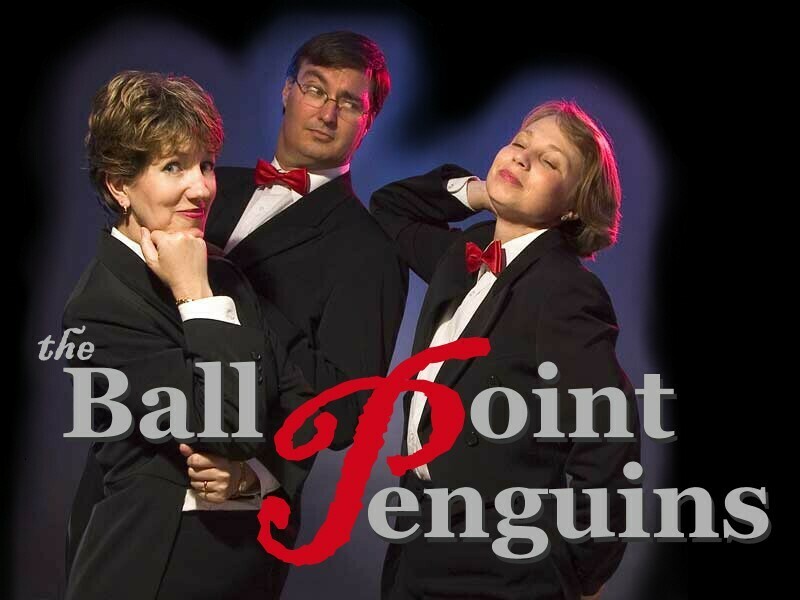 The Ballpoint Penguins will be accompanied on-stage by father-daughter musical duo Ray and Jessica Andrew with vocal delight Roz Bailey, who will be sure to get the audience into a groove with their New Orleans-inspired Jazz. The event will be held from 8pm in the Sonar Room, upstairs adjacent to Little Creatures. Doors will open at 7pm. Tickets are on sale now for $40 per person, or $30 for concession card holders. 100% ticket sale proceeds will be donated to the 4Jeff team. Tickets can be purchased from Moshtix at https://moshtix.com.au/v2/event/fun-raising-for-a-shtbox/110581.